Watch out! 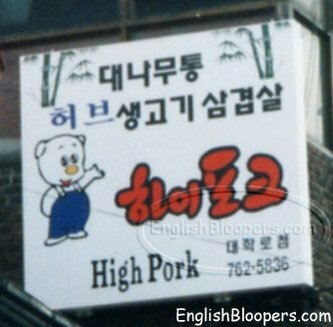 This pork will get you really high! © Copyright English Bloopers, Inc. 2003. All rights reserved.